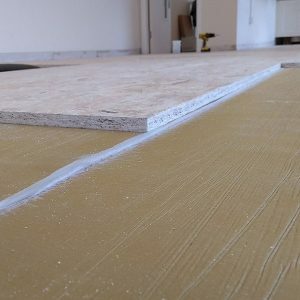 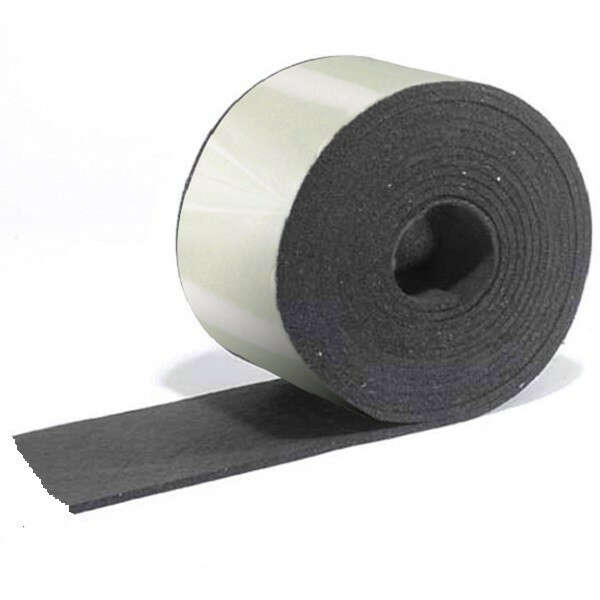 Acoustic joist strips are a 3mm self adhesive acoustic strip designed to be placed on top of joists to reduce impact sound transmission on wooden floors. 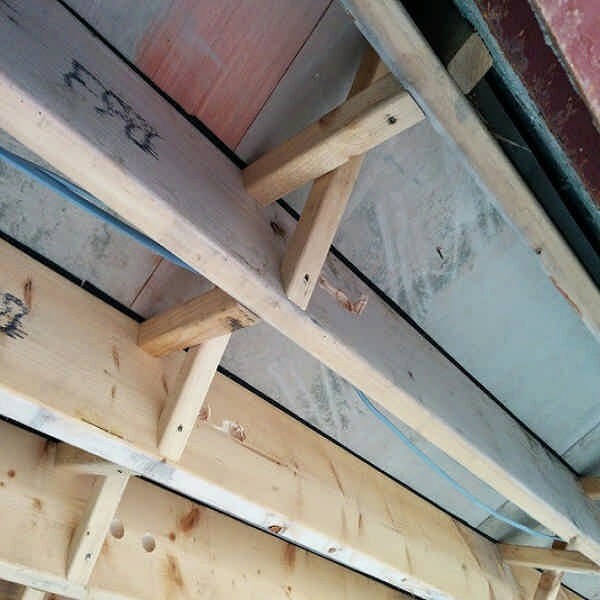 Does not compress under load. 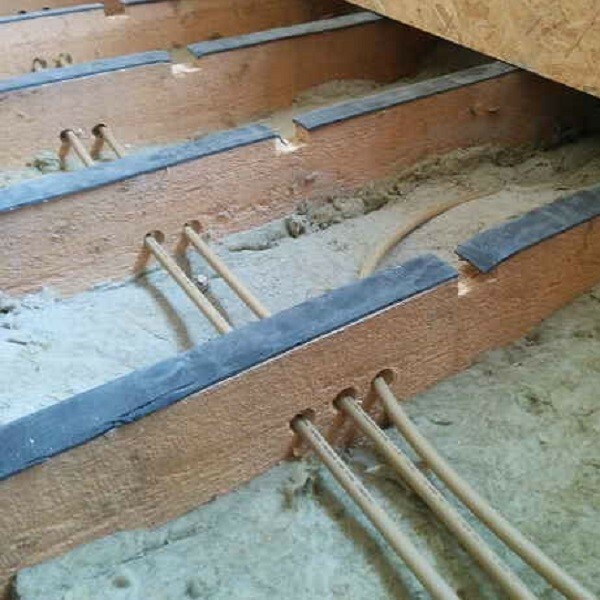 Acoustic joist strips are an economical way of reducing impact noise through conventional timber joist floors. 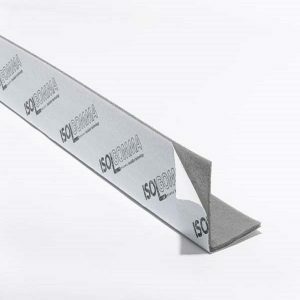 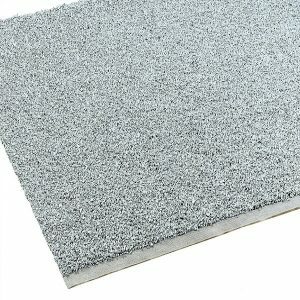 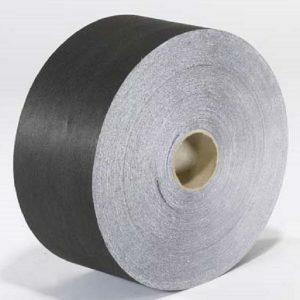 The strip is supplied in 20m self adhesive rolls that are easily placed on the top of the joists. 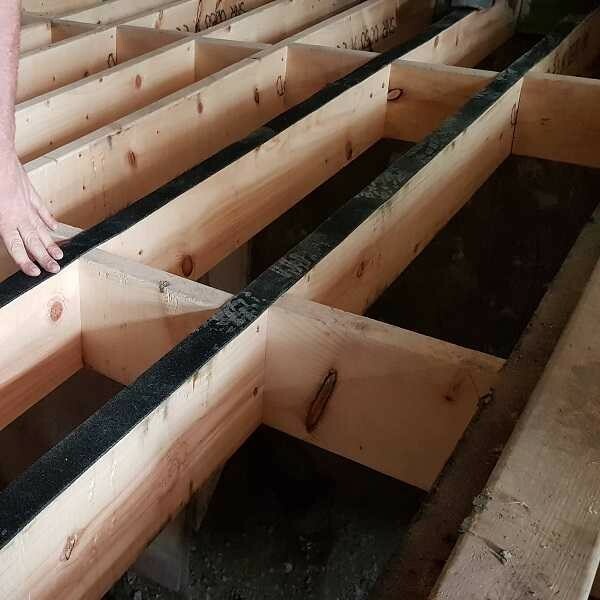 Unlike foam products as our joist strip is made from high density rubber – it will not compress under load and therfore it’s performance will not diminish over time either.